Misr International University is trying to provide its staff with the most updated methods in every aspect of teaching. 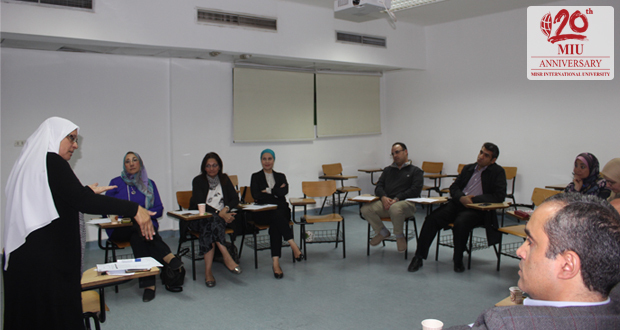 Thus, a workshop was conducted by Professor Dr. Maha Fathy, acting Vice Dean of the Faculty of Alsun, aiming at the standardization and evaluation of exam questions. The participants discussed the criteria of a good exam and methods of evaluation. 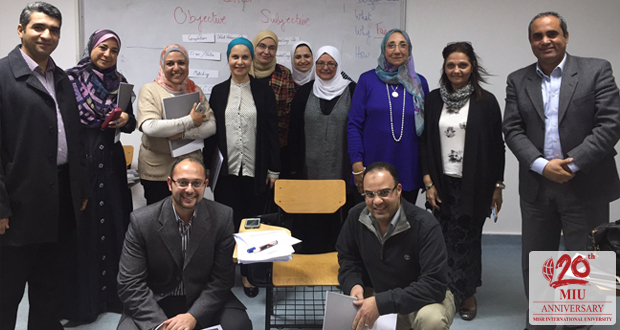 The workshop was held on the 29th of March, 2016 with the attendance of the Faculty of Oral and Dental Medicine staff.